The Leeds Diocesan Archives were established in 1958 by the then Bishop of Leeds, Bishop George Patrick Dwyer. From 1958 until his retirement in 2005 the Diocesan Archivist was the late Mgr George Bradley. 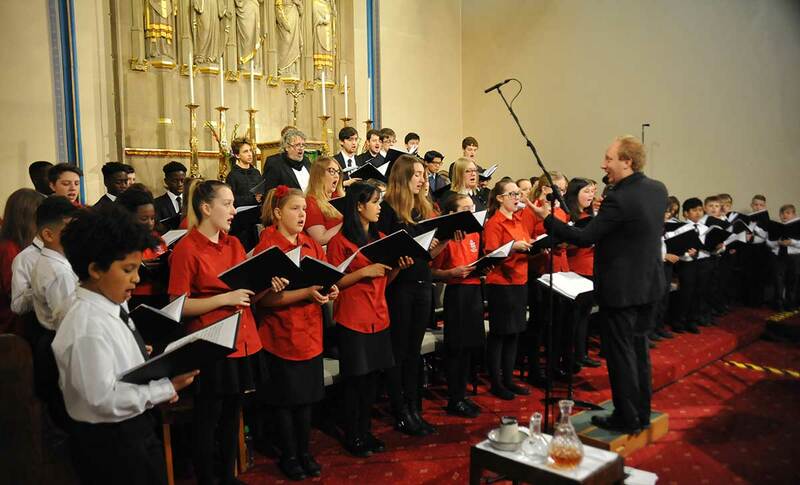 As well as assisting in the present-day administration of the Diocese, the archives have long been a rich source of material for historians, locally, nationally and internationally. 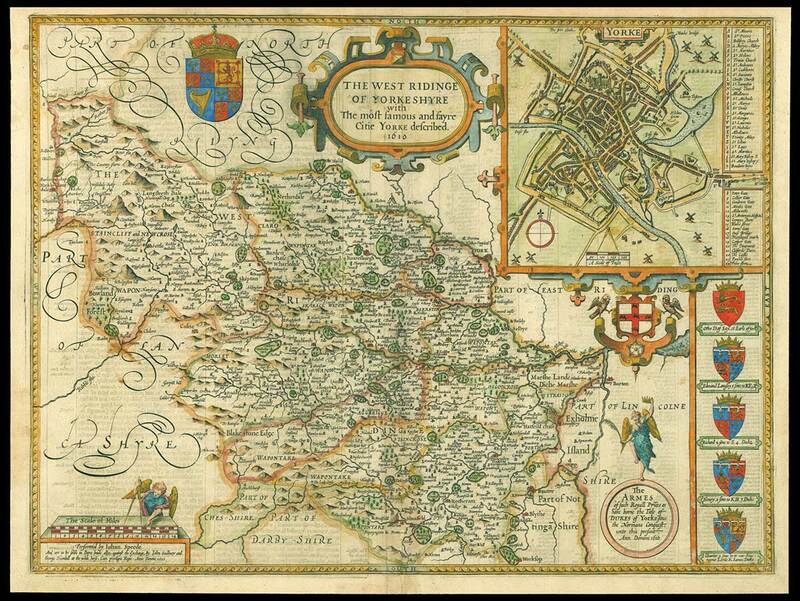 A significant part of the collection pre-dates the creation of the Diocese of Leeds in 1878 and derives from the Diocese of Beverley (1850-78) and the earlier Northern and Yorkshire Districts (1688-1850). Anyone with an interest in the history of the Leeds Diocese or the development of the Catholic Church in Yorkshire and the North of England more generally over the past two hundred years will find much to interest them in the records held by the Diocesan Archives. 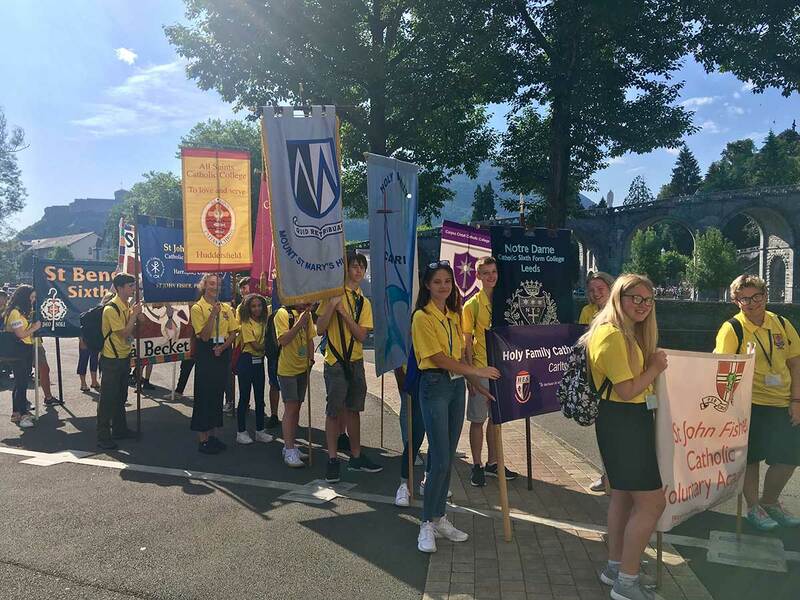 Each of the following sections will give you an idea of the kind of material we hold at the present time together with details of the facilities available to researchers. 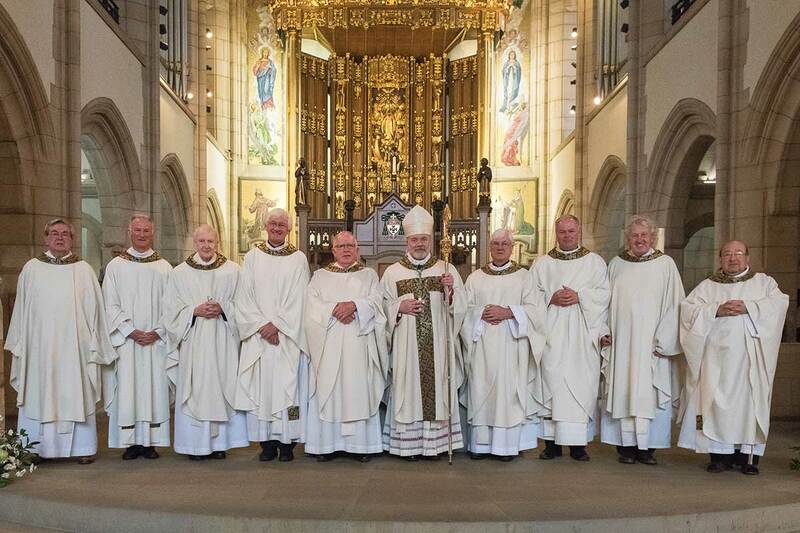 I hope that you will find this an informative and interesting aspect of the Diocese of Leeds. 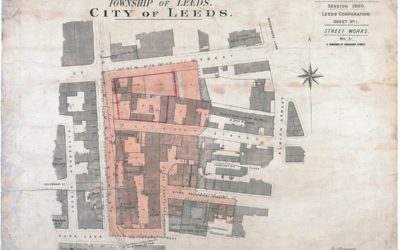 The plan shows the location of the first Cathedral Church of St Anne (built in 1838) which stood at the junction of Cookridge Street and Guildford Street (now The Headrow) and the site of its replacement, outlined in red. 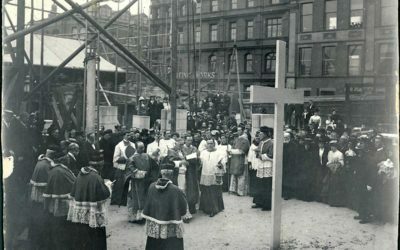 The Foundation Stone of the new Cathedral was laid on the Feast of Ss Joachim & Anne, 26 July 1902. It now forms part of the War Memorial Chapel on the north side of the Cathedral. 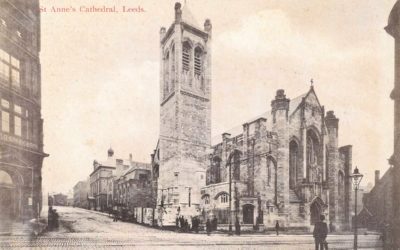 An early postcard view of the new Cathedral, which was officially opened on 16 July 1904.